(Bong – 17 August 2013) Bong County second female Superintendent, Selena Polson Mappy in collaboration with sector B of the United Nations Mission in Liberia, on Friday August 16, 2013 officially celebrated the anniversary of the ten years of peace in Liberia. The program which took place at the Gbarnga Administration building was attended by scores of Bong County citizens, including students, youth groups, women groups, chiefs and elders, members of the civil society, security apparatus, among others. Speaking when she took the stand on behalf of civil society organizations in Bong County, the head of the Development Education Network Liberia, DEN-L in Gbarnga Mrs. Dorothy Tooman said although Liberians were celebrating ten years of Peace as the result of the silence of the guns, some of the vices that plunged the Country into the civil crisis were still visible in the Country. Mrs. Tooman named massive corruption in Government, poor education and health facilities, high rate of un-employment, selective justice, nepotism, and un-equal distribution of the Country’s wealth as serious threats to the sustainability of the fragile peace. She said despite free and compulsory education policy announced by Government, several government schools across the Country still lack basic education materials and facilities including Library and Laboratories, text books, and sitting capacity. The Bong County civil society acting chairperson noted that it was unbelievable that despite millions of dollars that have been pumped into the educational sector by International partners and organizations, Liberia’s educational system remains poor. On the issue of health, Mrs. Tooman argued that Government is doing little to cater to the health needs of the Liberian people due to the lack of access to health facilities and better salaries and incentives for health workers across the Country. She expressed fear that the health care delivery system in Bong County will suffer a setback due to the departure of Medicine Du Mode, a French based charity in August of this year. 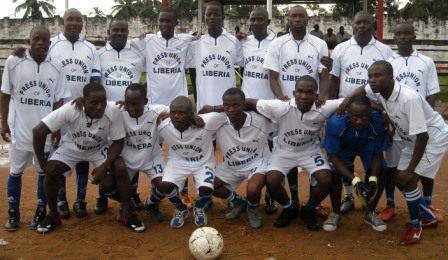 She used the celebration to challenged Government, the UN Mission, the World Bank and other partners of Liberia to ensure critical issues that could undermine the Peace are addressed. Madam Tooman said despite president Sirleaf’s vowed to ensure zero tolerance on corruption; Corruption remains a serious challenge to the Government because of the selective fight. Also speaking at the program, the former Bishop of the United Methodist Church in Liberia Arthur Flomo Kulah hailed the religious community for the role it played in bringing peace to the Country. Bishop Kulah said the Inter Religious Councils of Liberia was very instrumental in engaging heads of warring factions to seek dialogue as a means of returning the Country to peace. The former United Methodist Church Bishop paid tribute to the Bishop emeritus of the Catholic Church in Liberia the late Michael Kpakala Francis and Bishop George Brown for their Individual role in the Country’s peace process. He called on Liberians to put behind the bitter past and move on amidst their diversity. 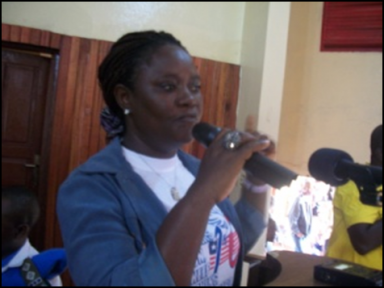 For her part, Bong County Superintendent Selena Polson Mappy said, although the maintenance of peace in the Country is the constitutional responsibility of Government, Liberians have collective role to play in the process. The Bong County Superintendent further admonished the people of the County against spreading negative propaganda, hatred, gossip that undermines the peace. Several other citizens who spoke to our correspondent after the program made it clear that although the guns are silent, the definition of peace is not the absence of war. Ninety year old Ma Martha Tokpah said, Liberia is far from enjoying genuine peace because people who are placed in high level positions in Government do not mean well for the Country.